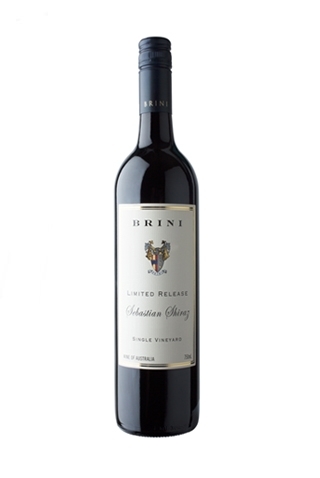 The Brini Limited Release Sebastian Shiraz is blended from selected barrels of low yielding fruit from marginally irrigated 71 year old vines planted in the late 1947. It is matured in American and French oak barrels. The deep brooding yet inviting youthful red colour reveals a powerfully layered, elegant and finely structured wine with abundant spicy, ripe blackberries with a hint of mocha. The classic McLaren Vale intensity of the fruit combine with silky fine tannins to create a rewardingly complex finish. Whilst drinking well now, it will continue to develop satisfyingly and reward in years to come. This for me is as close to a Penfolds Grange as you can find with aged vines but from one unique place unlike Grange at a much better price. This is worth decanting for an hour or so.